Let's talk about how to improve pitching accuracy when a pitcher has problems throwing strikes and finding the strike zone. Control is what kept me in the big leagues for twenty-two years. Having good control is one of the most important characteristics of a great pitcher. 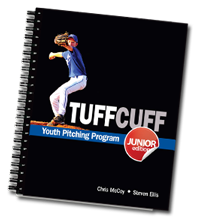 Pitching control problems are undoubtedly a limiting factor in a pitcher's long-term success. Pitchers who throw hard but lack control and consistency often do not perform well enough to advance to higher levels. But if a pitcher can hit his spots and consistently command his pitches—that's the difference between being a pitcher and a "thrower." ...but he doesn't often fall behind a hitter. And he rarely hands out free passes to first. Training your pitchers how to LOCATE their pitches is BY FAR the most important ingredient to their success. And if you have a young pitcher at home, it's just the kind of skill that you should be working on. If you take a look at the big league statistics, MLB pitchers throw an average of 62% to 65% strikes, or roughly 2:1 strikes to balls, according to 2014 stats. First-pitch strike percentage is around 59% to 60%. Do you know where the strike zone is? The first step in throwing strikes more is knowing where the strike zone is. Each individual umpire's zone will be different from game to game. 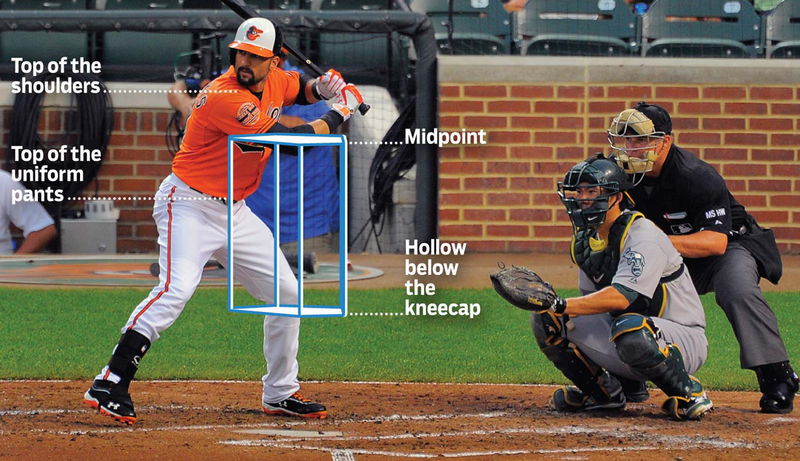 But as a general rule, the strike zone is between a hitter's chest and his knees. Of course, it's no surprise that pro pitchers have good control and throw strikes more times than not. But how can younger pitchers in high school and little league baseball improve their strike ratio? Good control starts with having good mechanics. If a pitcher has a good arm but is having problems locating his pitches, it's most likely a mechanical problem; it's very difficult to control the ball if you can't control your body and get to a consistent release point. Once the problem is identified, adjustments can be made in the bullpen to improve a pitcher's mechanics so that come Game time, it's almost like target practice! Justin Masterson shows good command of the sinker low and away in the strike zone. Good ball control is the single most important aspect of baseball pitching. One of the most frequently asked questions I get is, How to be an accurate pitcher? Let's take a closer look at each factor in greater detail by exploring 37 specific ways in which a pitcher can improve control pitching. James Shields throws a 2-2 fastball past Jed Lowrie for a strike to get out of a jam. Check the position of the pivot foot alignment along the front of the rubber. This can affect horizontal control. Pitchers should start on the throwing hand side of the rubber. This means right-handed pitchers should generally start from (and place their pivot foot in front of) the right side of the rubber. Lefties should start on the left. It's the opposite for lefties. If a right-handed pitcher finds that his fastball is tailing inside too much on a right-handed hitter, he can correct this by moving his starting body position and pivot foot placement more to the center of left side of the rubber. Does the pitcher square up his shoulders to the target? If a pitcher starts on the throwing arm side of the rubber and strides too far closed, there's a good chance that he'll have to shift his posture and lean to the glove side to help square up the shoulders. This late posture change leads to control issues and a non-repeatable delivery. Check for poor balance during the leg lift. A pitcher's weight should be evenly distributed on his back pivot foot as the knee comes up, not on his heel. Check if the pitcher over-rotates the upper body before coming out of maximum knee height and ends up in poor stride foot contact landing position. Check for poor arm action as the hands break. Is there too much arm extension or pulling the arm back behind the body? Does the pitcher break hands too far away from body, too low or too high or not in the center? Does the pitcher's fingers get under the ball? Or does he hook his wrist as his pitching arm circles down back and up into the cocking position? Does the pitcher not get the arm up into a good cocked position at foot plant? Check for poor timing of the leg going down and out and the arm going up during the stride. Check for poor weight transfer, such as the body getting out ahead of the arm. Remember, the pitcher should lead with the front hip following maximum knee height during that initial movement toward home plate to start the stride. Is the pitcher's lead arm action too aggressive causing shoulder to open too early? Or does the pitcher drop or pull the glove? These can lead to early shoulder rotation or "flying open" and often results on missing to the throwing arm side. Check that following maximum knee height the lead leg goes down and out instead of out and down. Does the pitcher swing his leg out to landing, land on his heel, land on a stiff front leg or land too open or too closed? Does the pitcher stride too long or too short? Or in a slightly wrong direction? These can cause the pitcher to land on his heel more than he should, thus jarring him out of the smooth motion that leads to control. Remember, the striding foot should land just to the side of that imaginary line from the center of the rubber, to the center of the plate known as the midline. 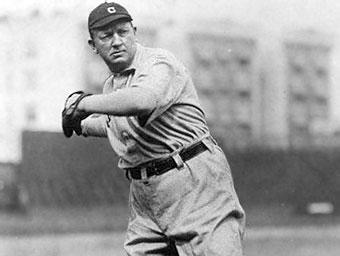 If the pitcher is wild-high, his stride may be too long; if wild-low, it may be too short. Pitchers need to have a definite target they're throwing to, and stride directly toward that target. Does the pitcher lead with the front hip or front shoulder? The pitcher should lead with his front hip and keep his head centered over an expanding sideways triangle. Does the pitcher over-flex his back leg, push out and over-stride? Does the pitcher brace up front knee upon landing? The knee continues to drift forward for many pitchers with poor control. Is the pitcher's arm angle too high, does his head come off line, or does he lean to one side? Higher arm slots generally lead to flatter pitches and cause control problems if the pitchers tilts his shoulders more than the recommended 10°. During arm acceleration, is the throwing hand too close to head? Does the pitcher have poor hip rotation, backside and back foot drag away from rubber? Does the pitcher have a poor finish that's too upright, cuts off arm into body and doesn't finish with a flat back? Once the ball leaves his hand, of course, nothing can be done to change its speed, trajectory or direction. But a proper follow-through indicates that the last contact the pitcher's hand has with the ball is correct… he is releasing it properly… so his chances of having good control are increased. Does the ball have a cutting action (horizontal break) because pitcher is getting on the side of the ball instead of staying on top and behind the ball? Check if the pitcher using a consistent grip. For the four-seam fastball grip, normally the fingers should be 1/2 to 3/4 of an inch apart. To improve control, widen out slightly. For the change up grip, control problems high are an indication of slowed arm speed, lifts fingers too early, low cocked position, arm slot too wide. Control problems inside are an indication of arm slot too wide, poor hip and trunk rotation, early pronation of hand. Is the pitcher fit to pitch? A pitcher's level of fitness has a direct effect on his ability to put the ball where he wants in the strike zone. Adding strength and properly conditioning the entire kinetic chain from the legs to the core to the arm will help the pitcher be able to maintain dynamic balance and good posture throughout the delivery. The ability to control pitches just outside the strike zone is as important as having good control inside the zone. There are few in the league that throw harder than Aroldis Chapman's. Couple a 100 mph fastball with good control, like he did here on this pitch to Adam Lind, and it's nearly impossible to hit. Is the pitcher wasting too many pitches? Way too many pitchers waste too many pitches when they get ahead in 0-2, 1-2 or 2-2 counts. Waste one high, waste one in the dirt, nibble here, nibble there, and throw in a couple foul balls—and all of a sudden the batter's trotting down to first base, and the pitcher looks foolish. Pitchers should challenge hitters with their very best pitch in their arsenal and make them swing. Is the pitcher concentrating well enough? A pitcher must be able to block out internal and external distractions, and focus on each pitch. He should be able to think of how he throws a certain pitch, why he is selecting the pitch, and where he wants to throw it. Is the pitcher fearful of failure? 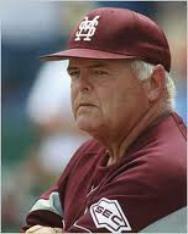 A pitcher must have the courage to compete under very stressful situations. He needs the courage to challenge hitters and throw the pitch for strikes. The pitcher needs to be able to maintain his poise and emotions and have a great amount of self-discipline in tough competitive situations. Is the pitcher trying to do too much? 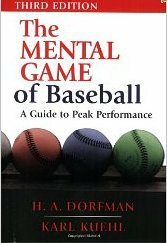 A pitcher not only has to know how to pitch, how to set up hitters and face various situations, but just as importantly he has to know and accept his own strengths and limitations. He has to learn how to pitch within himself and not try to do things he's not capable of doing. A pitcher first develops confidence through hard work and proper preparation, and then from prior successes. Because he has prepared himself, he should feel comfortable, shouldn't feel failure, and should be able to concentrate on the job at hand. Check if the pitcher is worried about hitting the batter. You've got to get into a mental state where the batter doesn't bother you and you are not afraid to brush him off the plate or throw one inside. The batter is the enemy. Johnny Cueto has a lot of tricks up his sleeve, including this change up to Martin Maldonado with a runner on second base. Notice how the pitch starts in the heart of the plate before fading late down and inside? Excellent command from an excellent pitcher. Check where the pitcher's eyes go during the delivery. Do they go down? Up? To the side? If the pitcher looks down or away during the initial part of the delivery, check to make sure his eyes are back on the target as soon as his leg comes up. The rule is this: "Leg up, eyes up." As soon as the lift leg reaches maximum knee height, the eyes should be fixed back on the target again. Check if the pitcher's head is still, especially following the release of breaking pitches. Many pitchers pull down with the head and shoulders when throwing breaking pitches and lose sight of the ball. That's fine. 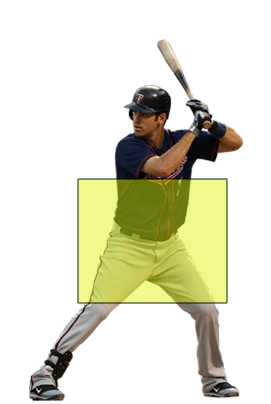 But the pitcher should get the head up early enough to track the ball into the hitting zone and be ready to field his position and protect himself. Check if runners on base affect the pitcher's control. The main cause of this is the pitcher's failure to get his eyes back on the target well before coming through with his pitch because he's so focused on looking at the runner. You can work on this in practice to get your pitchers used to taking a good look at the target before delivering, even if it means giving the runner(s) an extra step of lead-off. And be sure that part of a pitcher's warm-up—both before the game and starting an inning—includes pitching from the stretch. He should look at his target with both eyes before delivering the ball. During bullpen work, get the pitcher verbalizing the pitch and intended location before starting his windup. For example, have him say "fastball, low inside," or "slider, low and away". Calling their shot helps reinforce the action. Get the pitcher to visualize the location to a specific target, especially on off-speed pitches. For example, on the breaking pitch, does he focus on the spot where the pitch should end up, or the spot where he starts his pitch? I used to aim for the catcher's knee caps on my fastballs or the hitter's elbow on a breaking ball. Either technique is effective. Make sure the pitcher is tracking his pitches all the way to the catcher's mitt. During the delivery of the pitch, the pitcher should track the pitch to the specific spot. Mentally, visually and mechanically will the pitch to that location. One of the keys to being a successful pitcher at any level of baseball is the ability to throw the ball with a high degree of control. ...but if he cannot throw these basic pitches for strikes he will never be a successful pitcher. There are literally thousands of examples of highly successful pitchers in the big leagues who do/did not possess awesome velocity or movement in their pitches, yet still reached the highest levels of the game—Zack Greinke, Greg Maddux, Chris Young, Kyle Hendricks, to name just a few. So what makes these pitchers successful? They are capable of throwing the ball wherever they want, whenever they want. The key to better accuracy and more velocity is good mechanics, a strong arm and a well-conditioned pitcher. ...and with good mechanics, good fitness, a good thought process and good visualization, throwing becomes much more effortless—and much more fun! Are there any pitching accuracy tips that I missed?